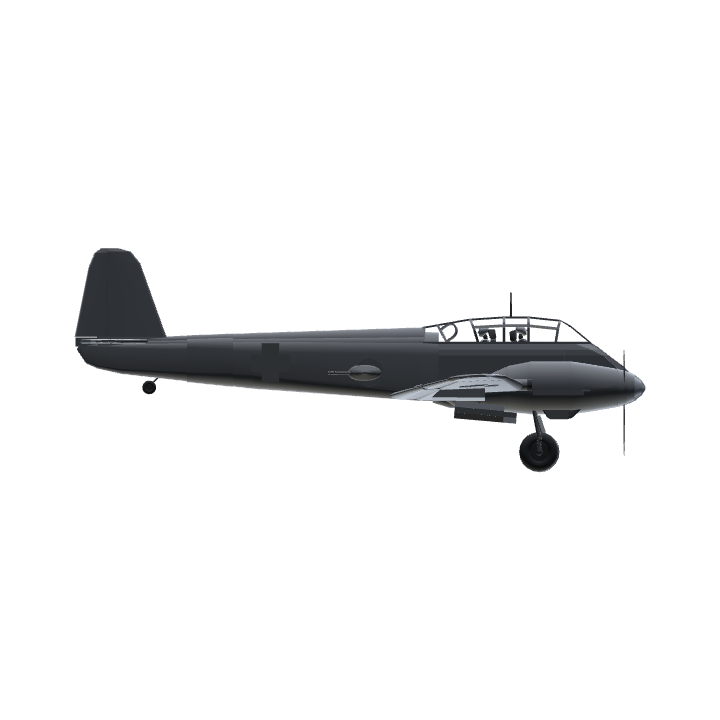 This is ME-410, which is a combination of a bomber with a fighter. 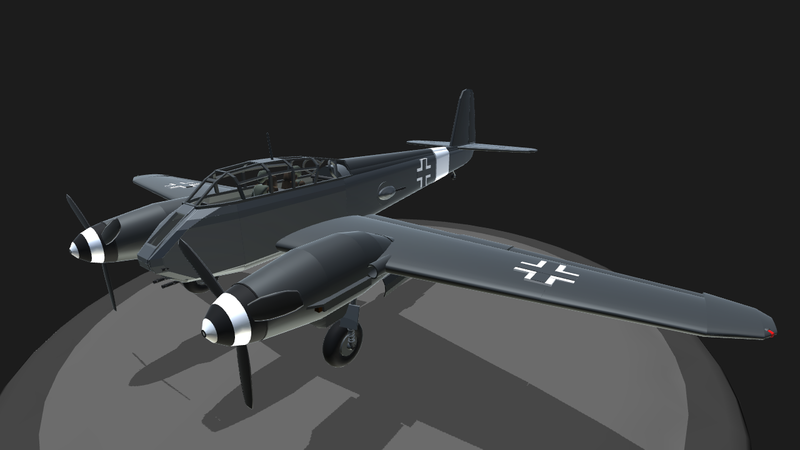 The plane is very well armed, fast and quite agile, thanks to which by the end of the Second World War it became the main heavy Luftwaffe fighter, replacing the ME-110. 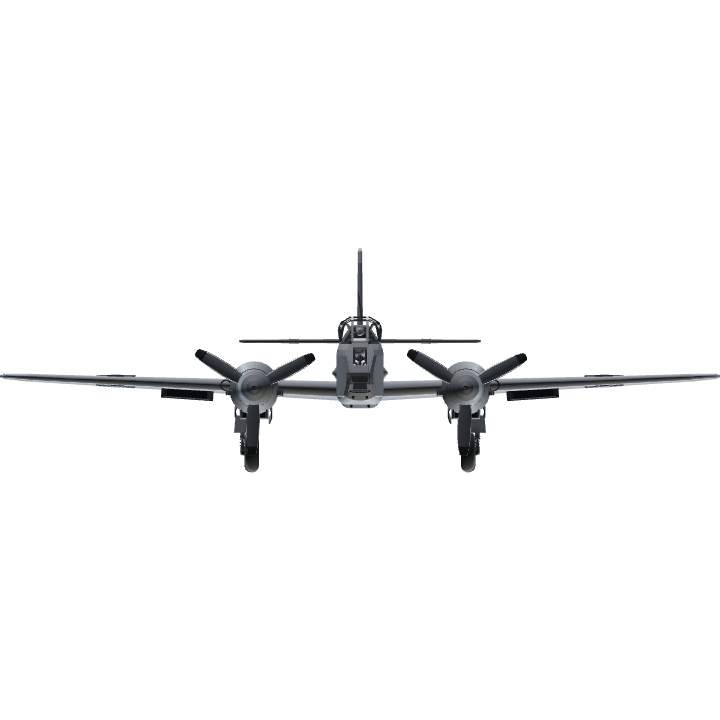 The fighter was adapted to destroy heavy bombers such as: B-17, B-24, B-29 and Avro Lancaster. The plane is very fast and I have easily reached it at a low altitude of 335 mph, on the higher there is a little problem with climbing, but also gives advice when it comes to maneuverability, I have no objections. In shooting down a 6X 20mm cannons bomber no problem. Very, very nice! Enjoyable and easy to fly, and it's so satisfying to watch the gun recoil while downing a B-17 with the might of German 20mm cannon. 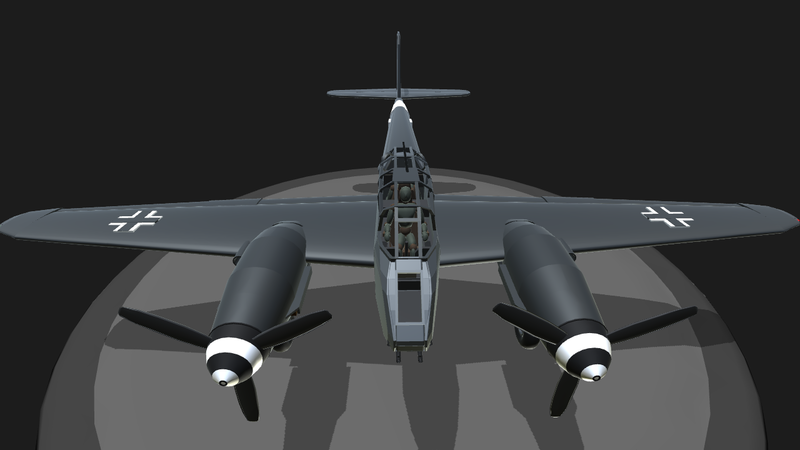 @JamesBoA Go learn your planes, this is the Hornisse not the Zerstorer. And both were made by Messershmitt. This is a DIFFERENT PLANE, anyhow! Ugh, I hate people like you. 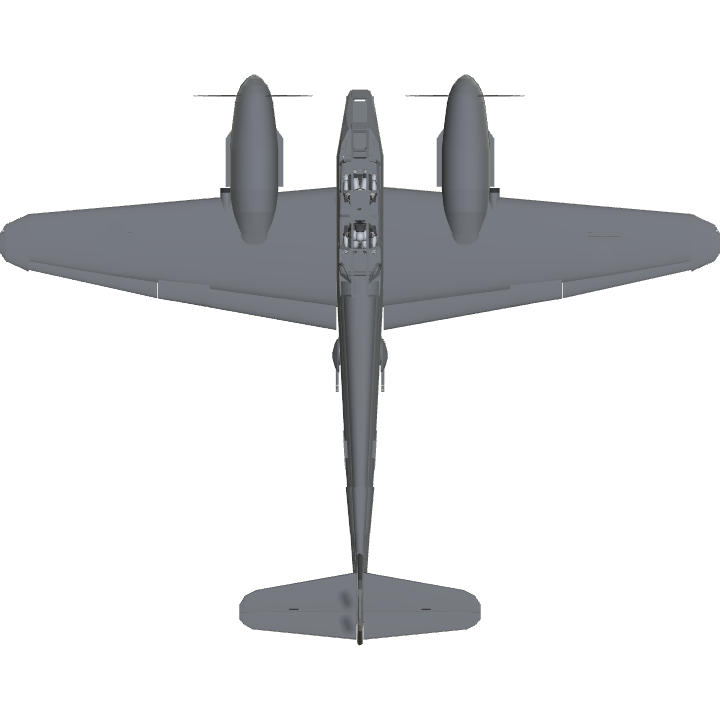 No offense, bud, but you really should learn your planes before you call an Me-410 a BF-110 again. 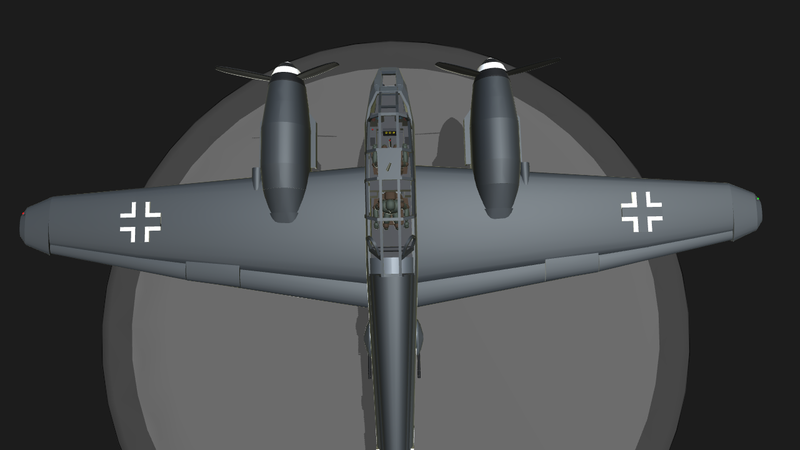 Next thing you know you'll be calling the Fw-190 a BF-109! Very nice. I've only found two flaws. Flaps go both ways, which you can fix by editing rotator input to "0,1" instead of "-1,1" and control surfaces don't lock when turrets are in use. I suggest putting control surface rotators to Ag8 when you use turrets, so they can be locked. Yay! Finally a good 410! !